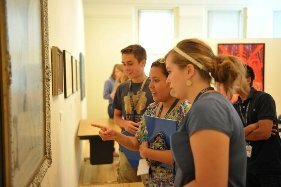 The Alliance for Catholic Education (ACE) begins its peak season for scholarship during summer break at the University of Notre Dame. This internationally known initiative is welcoming new classes to its formation programs for teachers and leaders and will host numerous campus programs and events for people passionate about sustaining, strengthening, and transforming Catholic schools. ACE is best known for its Service through Teaching program, founded in 1993, to prepare young men and women from around the country to serve as teachers in under-resourced Catholic K-12 schools in more than two dozen dioceses. Nearly 90 newcomers in ACE’s 19th class arrived on Friday, June 1, to begin their formation in this two-year journey that culminates in an M.Ed. degree. These competitively selected members of “ACE 19” have joined the “ACE 18” teachers taking their second summer of courses, and all are spending eight weeks experiencing the pillars of ACE formation—excellence in professional service, community life, and spiritual growth. The two cohorts live in residence halls and share retreat and daily Mass opportunities during their rigorous summer schedules. They prepare to take up classroom duties this fall in numerous cities—from Brownsville, TX, to Washington, DC, from Los Angeles to Memphis to Tucson—serving children in Catholic schools while living in their own intentional faith community houses near those schools. Current educators preparing for careers as principals arrive in mid-June for their master’s degree curriculum in the Mary Ann Remick Leadership Program — a 26-month formation journey that embodies all three ACE pillars and allows the teachers to return to their classrooms during the school year. Other educators will come to campus in June and July to gain specific skills to make their Catholic schools more inclusive through ACE’s English as a New Language and Teaching Exceptional Children certificate programs. Every summer at Notre Dame is also the launching point for a number of initiatives and community-building opportunities established by ACE in response to emerging needs in Catholic education. 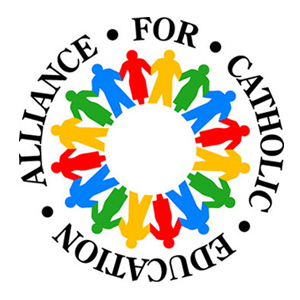 ACE’s summer conference schedule will convene educators and their supporters for a number of purposes, including professional development, skills and insights for advocacy, and strategic briefings for Catholic school superintendents, principals, and pastors. To help improve access to excellent educational opportunities in the United States, one workshop is focusing on the value of school choice policies for Catholic schools, along with insights for local advocacy of parental choice. Symbolizing ACE’s growing role as a generator of research in the field of Catholic education, the annual Remick Leadership Conference will leverage the “action research” projects required of all RLP degree candidates. They will share their solutions-oriented research with educators from the region around Notre Dame. ACE’s national movement in support of leadership in Catholic schools also gains strength through the bestowal of annual awards. The Notre Dame Award for Outstanding Contributions to Catholic Education will be awarded for distinguished lifetime service to children through Catholic schooling. The Michael Pressley Award for Excellence in Catholic Education will go to ACE graduates with a proven commitment to the highest standards in teaching and school leadership. The Michael Pressley Award for a Promising Scholar in the Education Field will go to an ACE graduate who has pursued service to Catholic education through cutting-edge academic research. ACE teacher Molly Grew teaches in her classroom at St. Joseph's School in Petersburg, Virginia in 2011. Copyright University of Notre Dame / Photo by Matt Cashore. These awards will be presented during ACE Commencement exercises on July 14, during which the graduate-level formation programs will bestow degrees. Toward the end of July, ACE also conducts an annual “missioning,” solemnly and joyfully sending forth its educators-in-formation to the schools where they will serve at-risk children during the regular school year. The Most Rev. Joseph McFadden, Bishop of the Diocese of Harrisburg, will preside at the Missioning Mass on July 27. Bishop McFadden chairs the Committee on Education of the United States Conference of Catholic Bishops. ACE, founded by Rev. Timothy Scully, C.S.C., and Rev. Sean McGraw, C.S.C., embodies the commitment to Catholic education demonstrated by the Congregation of Holy Cross. The call of Holy Cross founder Blessed Basil Moreau, C.S.C., for “making God known, loved, and served” is at the root of the energy surge that helps to renew both campus and visitors during the summer months. Originally published by William Schmitt at newsinfo.nd.edu on June 19, 2012.